THE value of data, how to capture its benefits and how it can be shared down the value chain were the dominant themes at the Harvesting the Benefits of Digital Agriculture Conference, hosted by the Australian Farm Institute in Melbourne today. 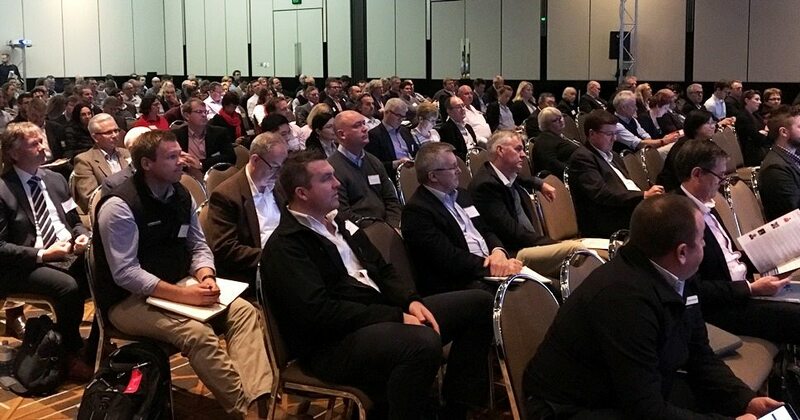 More than 300 agribusiness professionals, primary producers, technology experts and entrepreneurs heard from national and international speakers about the potential for digital agriculture to fundamentally change farm production systems and supply chains. The conference follows on from the successful Digital Disruption in Agriculture Conference held last year which explored how digital technology has the ability to change farm practices and inform decision making. 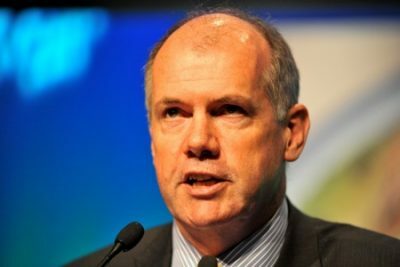 “The agriculture industry is moving to a point where we are getting more serious about where the benefits are in technology, or what we call digital agriculture, and we want to know what the business case for that technology is,” AFI executive director Mick Keogh said in his address. “Digital agriculture is emerging right through the supply chain and there is a need for a whole-of-industry approach that provides benefit from producers and throughout the supply chain,” Mr Keogh said. Conference delegates were given an overview of who will benefit from digital agriculture and how it can work through the supply chain and what impact that will have on-farm. Some common themes from day-one were that digital technology should focus more on quality on-farm, rather than just yield, as it has been up to this point; and provenance of food and fibre is becoming more important for consumers, which digital technology can assist with. 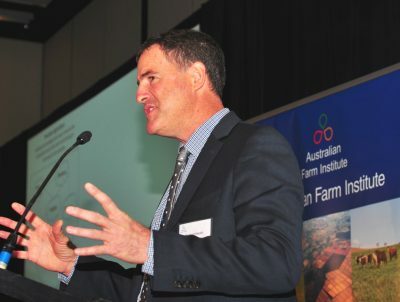 “For data to be valuable it has to go both ways – from farmer up the supply chain and back again,” AFI general manager of research, Richard Heath said. Regulatory compliance, the connection between digital technology and finance, and whether the agriculture sector is ready for investment in digital products and services were some of the other themes covered. “Increasingly we are going to have regulatory and compliance pressures around things like how farmers water crops or buy pesticide, so data can be used as part of the process to help with compliance,” Mr Heath said. “Digital technology can be applied to finance by, for example, the bank knowing a producer is watering his crop effectively and that there is a guaranteed crop could help with operational finance,” Mr Heath said. “The best we can do is use data as a service and use information as a service to make decisions, but our ability to understand the farm and predict the farm is limited by mother nature. This is the challenge for technology companies,” she said. AFI’s Harvesting the Benefits of Digital Agriculture conference was held in Melbourne yesterday and today, Thursday and Friday 15 and 16 June.